Nitya Vol-130 Catalog : Beautiful 6 Embroidery Designer Salwar Suit By LT Fabrics . Latest Wholesale Salwar Suit LT Fabrics Nitya Vol-130 Full And Single Suit Catalog By LT Fabrics At Wholesale Price Surat. Neerja Vol-3 Catalog : Beautiful 6 Embroidery Designer Salwar Suit By Eba Lifestyle . Latest Wholesale Salwar Suit Eba Lifestyle Neerja Vol-3 Full And Single Suit Catalog By Eba Lifestyle At Wholesale Price Surat. Gulkand Signature Catalog : Beautiful 6 Embroidery Designer Salwar Suit By Aashirwad Creation . Latest Wholesale Salwar Suit Aashirwad Creation Gulkand Signature Full And Single Suit Catalog By Aashirwad Creation At Wholesale Price Surat. Antra Catalog : Beautiful 6 Embroidery Designer Salwar Suit By Kessi Kalarang . Latest Wholesale Salwar Suit Kessi Kalarang Antra Full And Single Suit Catalog By Kessi Kalarang At Wholesale Price Surat. 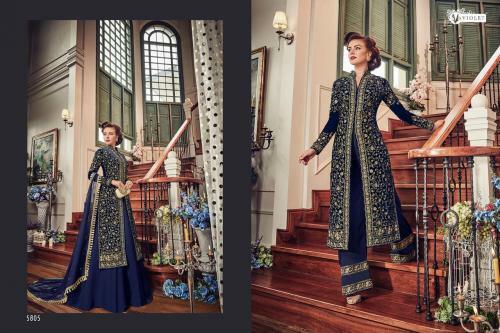 Anaya Vol-3 Catalog : Beautiful 6 Embroidery Designer Salwar Suit By Shree Fabs . Latest Wholesale Salwar Suit Shree Fabs Anaya Vol-3 Full And Single Suit Catalog By Shree Fabs At Wholesale Price Surat. Gulbano Vol-8 Catalog : Beautiful 6 Embroidery Designer Salwar Suit By Deepsy Suits . Latest Wholesale Salwar Suit Deepsy Suits Gulbano Vol-8 Full And Single Suit Catalog By Deepsy Suits At Wholesale Price Surat. Sundaram Catalog : Beautiful 6 Embroidery Designer Salwar Suit By Angroop Plus . Latest Wholesale Salwar Suit Angroop Plus Sundaram Full And Single Suit Catalog By Angroop Plus At Wholesale Price Surat. Nazmin Catalog : Beautiful 6 Embroidery Designer Salwar Suit By Glossy Simar . Latest Wholesale Salwar Suit Glossy Simar Nazmin Full And Single Suit Catalog By Glossy Simar At Wholesale Price Surat. Rare Catalog : Beautiful 6 Embroidery Designer Salwar Suit By Nakkashi . Latest Wholesale Salwar Suit Nakkashi Rare Full And Single Suit Catalog By Nakkashi At Wholesale Price Surat. Amyra Catalog : Beautiful 6 Embroidery Designer Salwar Suit By Glossy Simar . Latest Wholesale Salwar Suit Glossy Simar Amyra Full And Single Suit Catalog By Glossy Simar At Wholesale Price Surat. Heer Vol-42 Catalog : Beautiful 6 Embroidery Designer Salwar Suit By Kimora Fashion . Latest Wholesale Salwar Suit Kimora Fashion Heer Vol-42 Full And Single Suit Catalog By Kimora Fashion At Wholesale Price Surat. Noor Catalog : Beautiful 6 Embroidery Designer Salwar Suit By Shai . Latest Wholesale Salwar Suit Shai Noor Full And Single Suit Catalog By Shai At Wholesale Price Surat. Adaa Apsara Vol-3 Catalog : Beautiful 6 Embroidery Designer Salwar Suit By Shree Shalika Fashion . Latest Wholesale Salwar Suit Shree Shalika Fashion Adaa Apsara Vol-3 Full And Single Suit Catalog By Shree Shalika Fashion At Wholesale Price Surat. Vol-2 Catalog : Beautiful 6 Embroidery Designer Salwar Suit By Virasat . Latest Wholesale Salwar Suit Virasat Vol-2 Full And Single Suit Catalog By Virasat At Wholesale Price Surat. Hurma Vol-4 Opada Collection Catalog : Beautiful 6 Embroidery Designer Salwar Suit By Eba Lifestyle . Latest Wholesale Salwar Suit Eba Lifestyle Hurma Vol-4 Opada Collection Full And Single Suit Catalog By Eba Lifestyle At Wholesale Price Surat. Armani Catalog : Beautiful 6 Embroidery Designer Salwar Suit By Bela Fashion . Latest Wholesale Salwar Suit Bela Fashion Armani Full And Single Suit Catalog By Bela Fashion At Wholesale Price Surat. Shangar By Patiala House Vol-8 Catalog : Beautiful 6 Embroidery Designer Salwar Suit By Kessi Fabric . Latest Wholesale Salwar Suit Kessi Fabric Shangar By Patiala House Vol-8 Full And Single Suit Catalog By Kessi Fabric At Wholesale Price Surat.